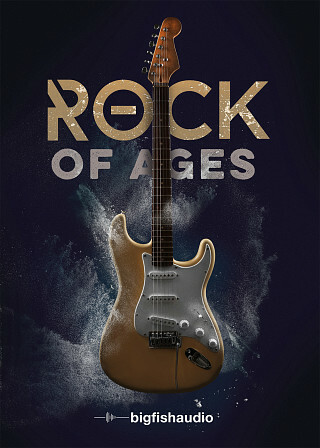 Big Fish Audio is proud to present Rock Of Ages. 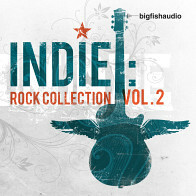 This 30 kit library features a wide variety of Rock n Roll, from the classic sounds of the 60s and 70s up through the fast-paced punk and dark grunge of the 90's. Each file has been recorded in the highest quality 24-bit rate at 44.1 kHz and formatted in all major formats so that it will easily drag and drop into any hardware or DAW software. 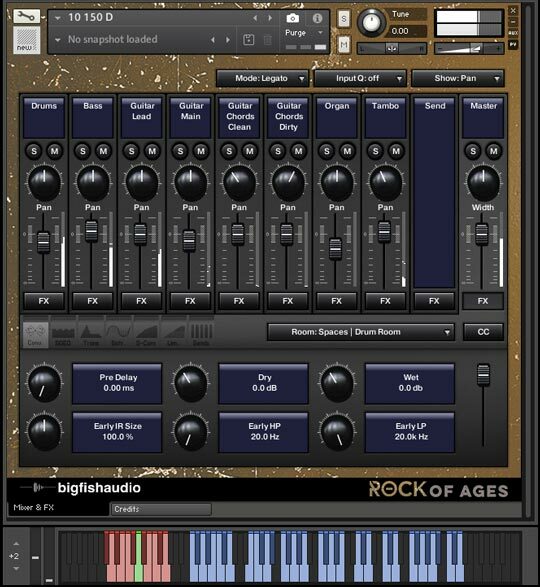 Rock Of Ages also includes a full suite of raw drum track stems for each kit, giving you total mixing control over the raw drum content. 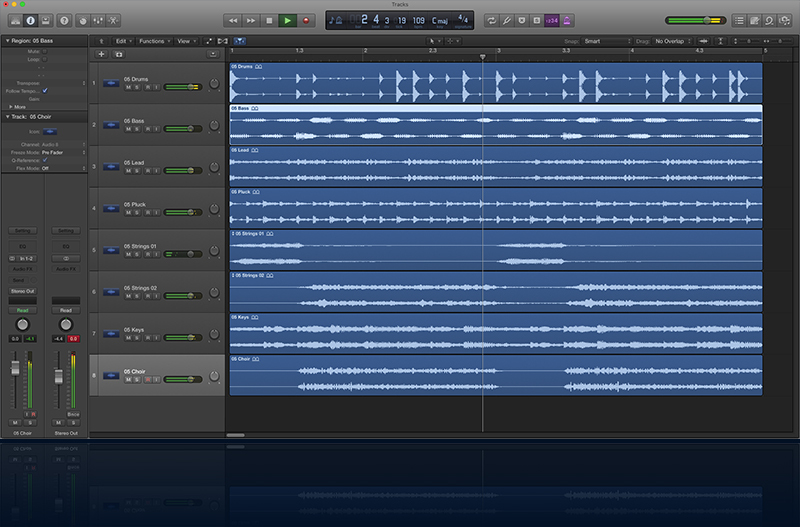 This is a massive value as it gives you what only thousands of dollars and hours of studio recording time could. The guitars are heavy, the drums are loud and everything from the iconic styles of The Beatles and Led Zeppelin to the drug fueled grunge of Nirvana is packed into this amazing library, covering all the bases you need to make your next track a Rock N Roll masterpiece. 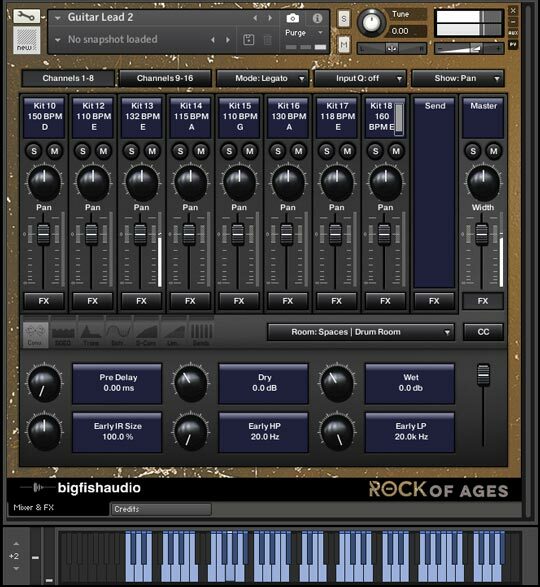 In addition to the regular loop content, Rock of Ages contains Multitrack Drum Stems from each kit in the library for you to mix, match, remix and adjust anyway you like. 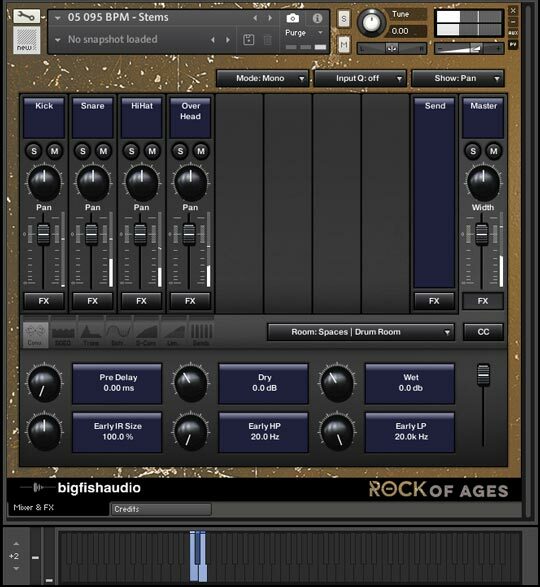 Rock of Ages has been formatted in all the industry standard file types: Apple Loops, Acidized WAV and REX. Every piece of commonly used hardware and software will be compatible with at least one of these fully developed and usable formats. Multi-Drum Stems - These patches include all multi-track drum loops (starting on C1) of a particular kit giving you complete access to customize your drum tracks. 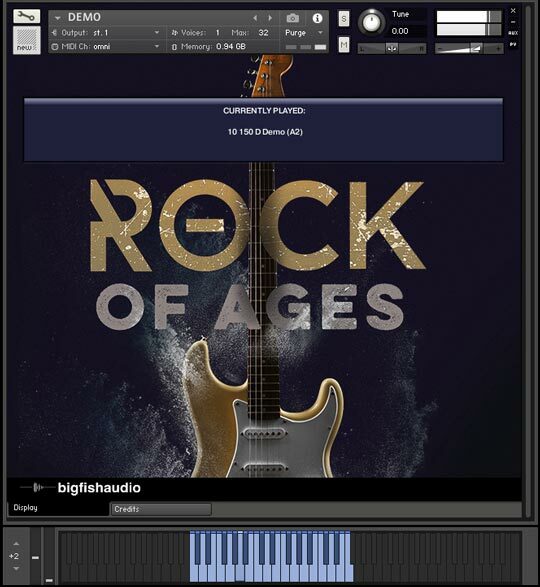 • You must have a FULL version of Kontakt 5.6.8 to use this product. 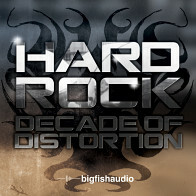 The Following End User License Agreement is included with Rock Of Ages. 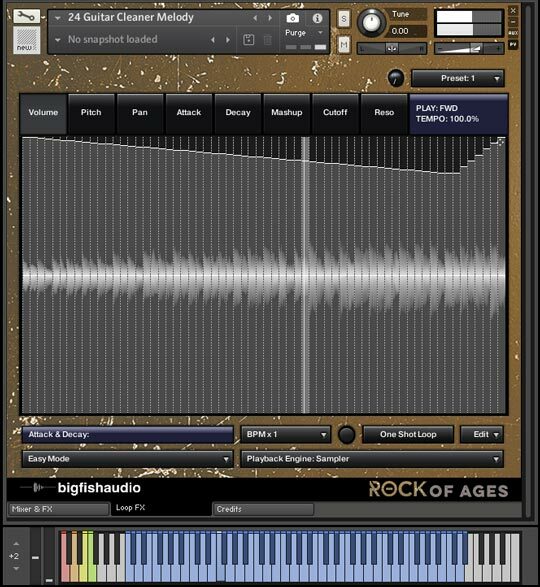 This License is only valid for the individual who has purchased an unopened, new and lawfully made copy of Rock Of Ages from a dealer or distributor authorized by Big Fish Audio.